The 5646-7040 is a very rare model, and the only vintage Grand Seiko to have Arabic numerals as hour markers – quite probably this watch was the inspiration for all the modern day Wako limited editions that also feature Breguet-like numerals on their dials. The dial of the watch has a starlight-like textured finish, and another unique feature is the watch’s round case featuring a textured bezel and short angular lugs. The example available here is in excellent condition, with a flawless dial and excellent case showing just minor scratches. On a timegrapher in the dial-up position, the watch is running at around -4 seconds per day. The 56GS series of vintage Grand Seiko is second only to the 61GS with regards to the diversity of the watches produced. Whilst utilising only three different movements (there are no “special” or “VFA” examples in this series), there are 35 different models in the series. 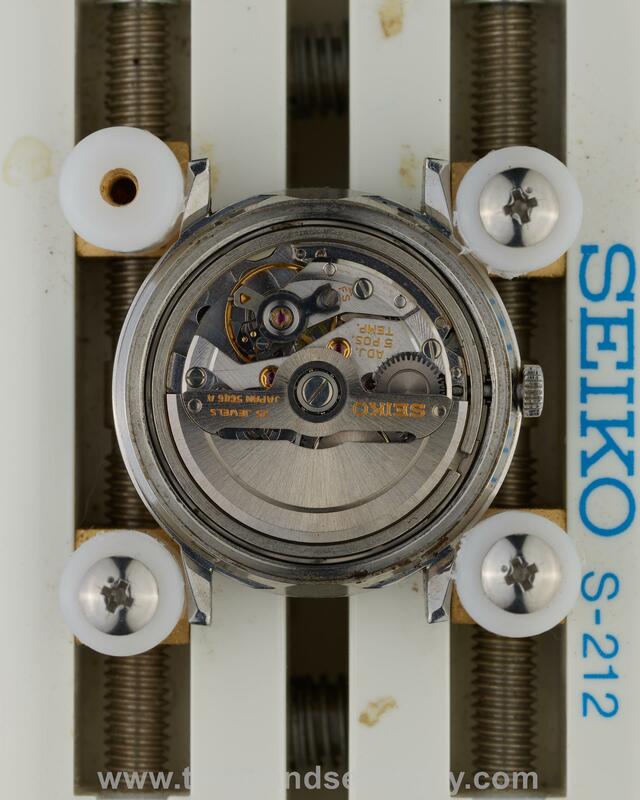 With production at Suwa Seikosha starting in 1970 and running through until 1974, the 56GS series marks the end of the line for the vintage Grand Seikos. The three movements that were used in this series were the 5641A (no-date), 5645A (date) and 5646A (day-date), making this the only series with all three complication versions. 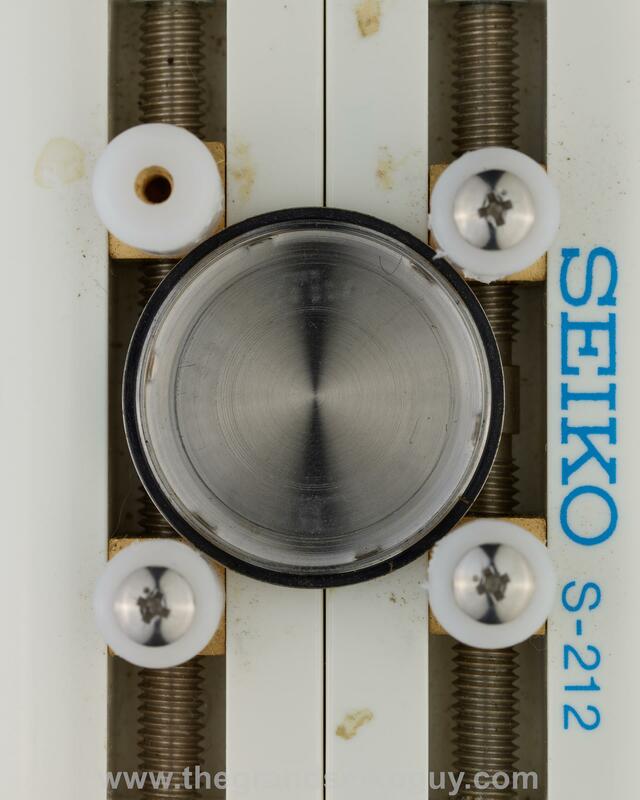 For the first time, an element of automation was introduced into the production line, and the beat of the movement set at 28,800bph to increase reliability. 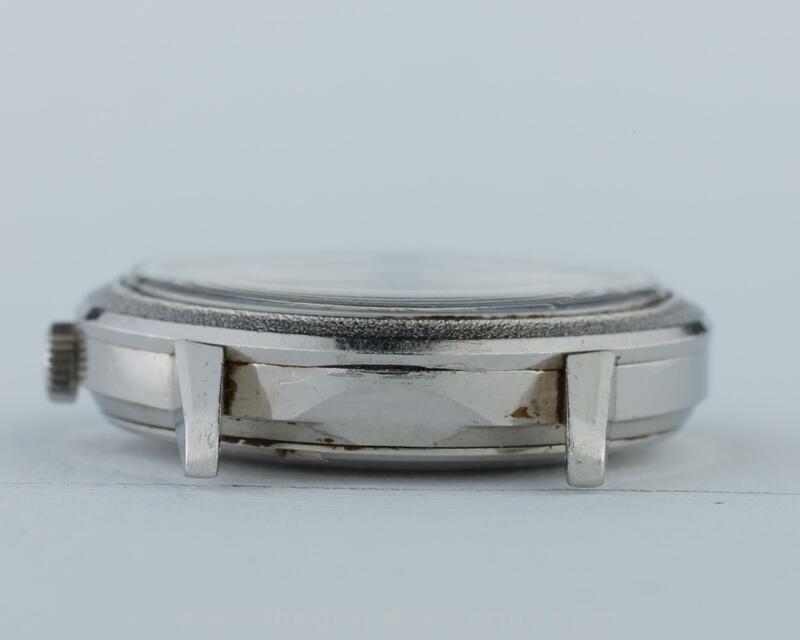 Whilst there is a large variety of case designs utilised in this range, unlike with the 61GS series, there is consistency in the design and associated numbering of the cases as used across the different movements. 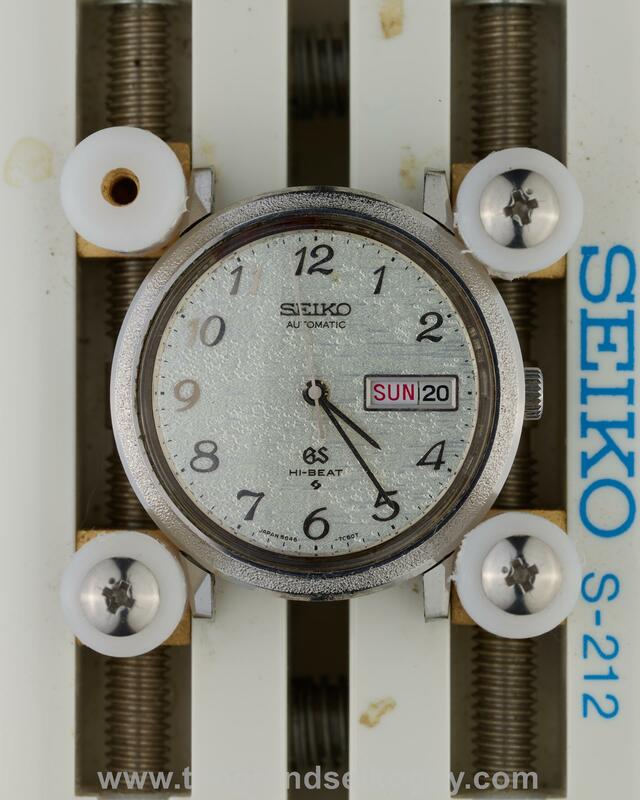 First up is the -5000 case, which was available with both 5641 and 5645 movements. It is a solid gold 18K tonneau shaped case, with the dial also made from gold, and featuring a “snowflake” textured finish that was the inspiration for one of the most popular of the current Seiko models. The -5010 case is square in shape, coming in both 5645 and 5646 options, and with each option having both a plain dial with regular indices (white in the instance of the 5645-5010, and blue for the 5646-5010), and a textured graduated dial with roman numeral indices (retaining the same 5645-5010 and 5646-5010 references, a charcoal colour for the date version, and an earthy brown colour for the day-date version). 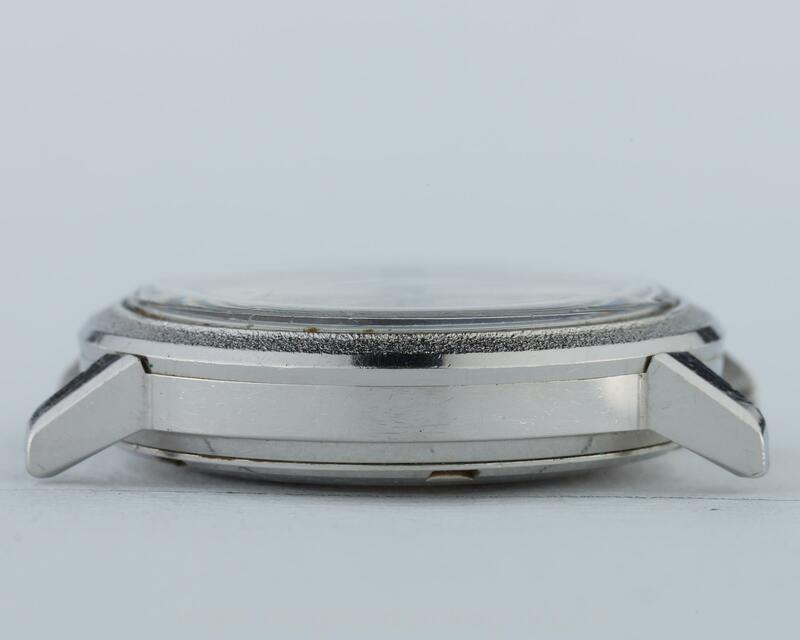 Available with all three calibres, the -7000 case is very similar, though not identical, to the 45GS -7010 case, being a “turtle-shaped” oval case finished in brushed stainless steel. The -7005 case is similar to the -7000, but made from 18K gold. Once again, it was available across all three calibres, and uniquely on the 5646-7005, also available with a simply stunning 18K gold bracelet. This watch was the most expensive vintage Grand Seiko ever offered to the public, with a staggering for then retail price of 500,000 Yen (without the bracelet and on a leather strap, the price was a “mere” 181,000 Yen). 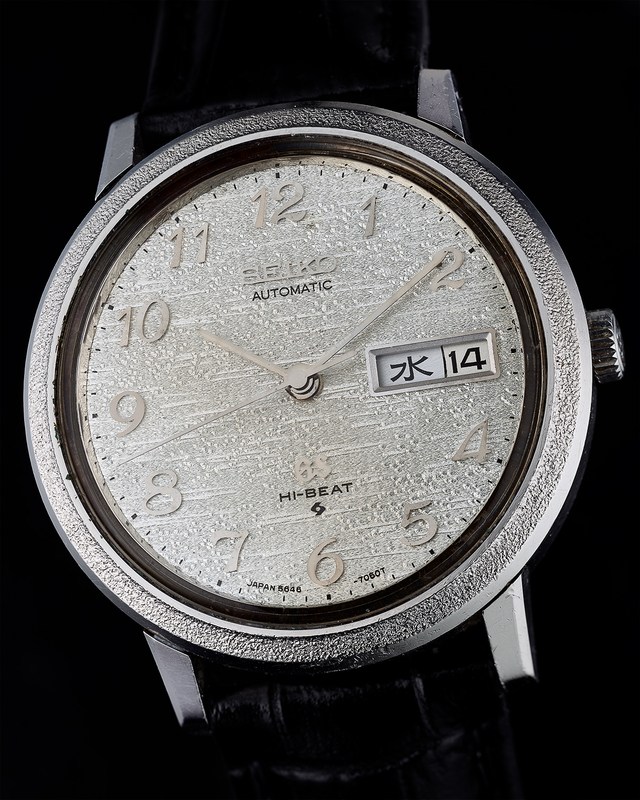 This particular watch, with its 18K bracelet, was only marketed from the second half of 1974, and its price almost certainly significantly impacted by the huge increase in the price of gold, which in 1970 when the Astronomical Observatory Chronometer was selling for 180,000 Yen was around $35 an ounce, but by 1974 when the 5646-7005 was sold on an 18K bracelet had risen to $180 an ounce. Adhering strongly to the “Grammar of Design” rules, the -7010 and -7011 watches are almost certainly the most common vintage Grand Seikos that you see on the market today, and relatively easy to find. The author believes that the difference between the two cases is simply a move from marking the cases as being “waterproof”, to “water resistant”, but this remains to be confirmed. Sold with both day and day-date calibres, and in both stainless steel and cap gold case variants, white dialed examples of all versions are relatively easy to come across even today – they must have been made in very significant numbers. They were marketed with both leather straps, and for a 3,000 Yen premium, also available on a bracelet. In addition to the white dialed versions, there was also a blue dial available in both calibres with the stainless steel case on a leather band. 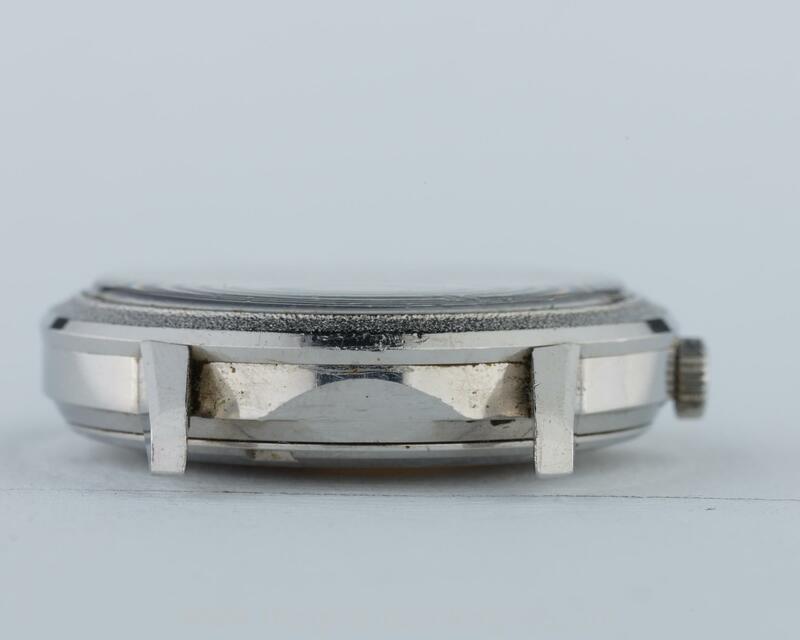 There are then three cases that were only ever available with the 5646 movement. These are the 5646-7020, a striking watch featuring a case similar to that found on the 61GS VFA’s, a deeply faceted crystal, and a graduated green dial (note – this watch only exists with a green dial – there are no legitimate white dial variants). The 5646-7030, with its wonderful sand-textured dial (very possibly the inspiration for similarly textured dials in the modern era), is unique amongst all vintage pieces in having a lug width of just 17mm. 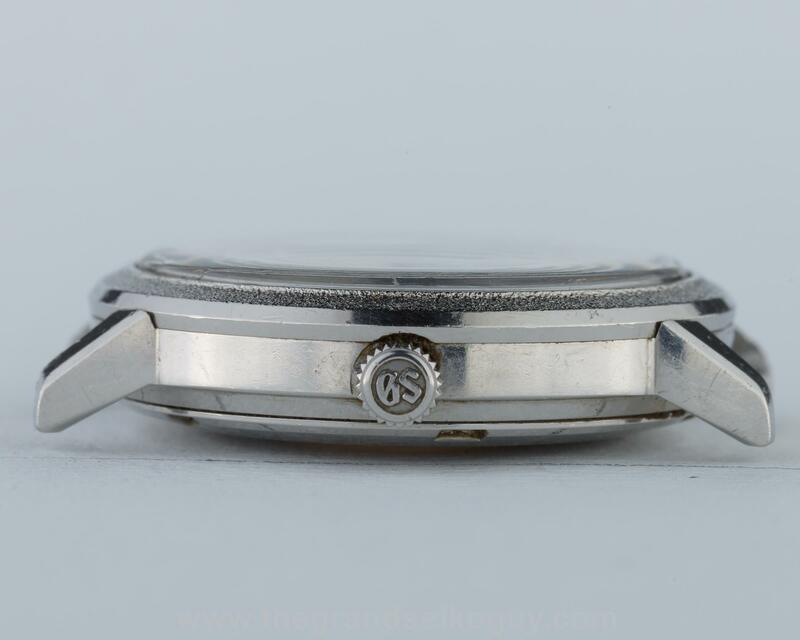 And rounding out the set of cases only available with the 5646 day-date movement is the 5646-7040. 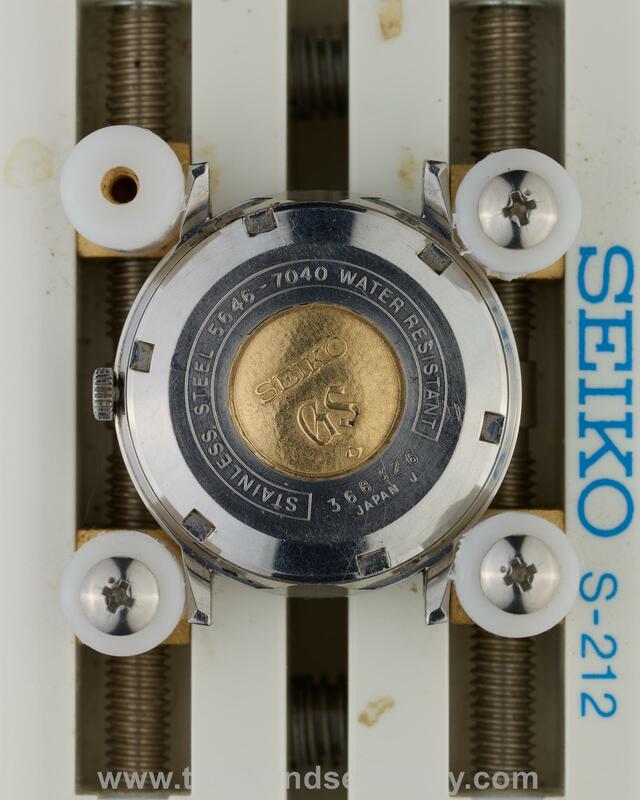 The -7040 is unique amongst all vintage Grand Seikos in using applied, Breguet-type Arabic numerals on the dial, and was possibly the inspiration for the modern-day Wako limited editions. Finally, the -8000 case was available with both 5645- and 5646- movements. There are multiple different dials available for the stainless steel version, with white, blue and grey colours all existing, and some models coming on a bracelet. Topping out the -8000 cased range are solid 18K gold models which, like the 5646-7005, also came on 18K gold bracelets. Released in 18 months prior to the -7005, when the price of gold was around $100 an ounce, they were available for 390,000 Yen for the date version, and 395,000 Yen for the day-date.